This imprinted calendar captures creatures in their primal majesty! Spiral-bound calendar features remarkable full-color photography of wild animals in their natural habitats. The extraordinary 13-month calendar clearly identifies holidays and other special remembrances. 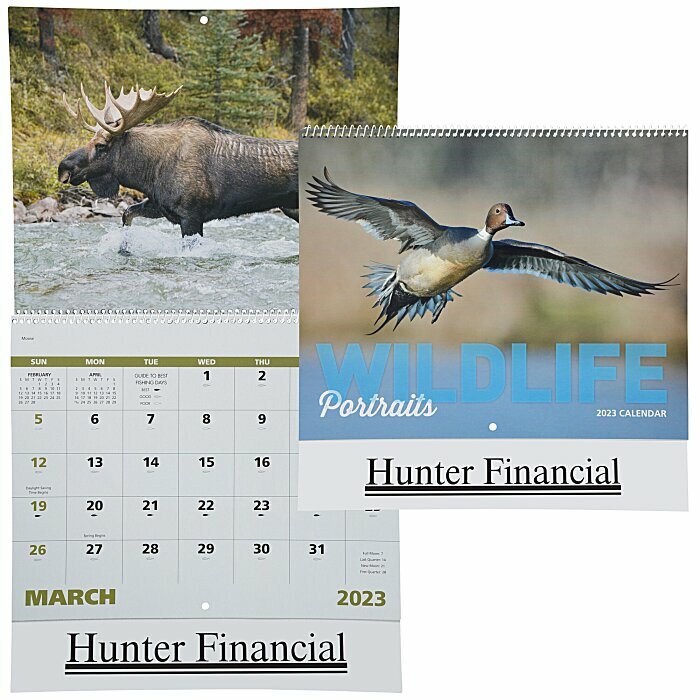 For staple-bound calendar, see item #111995-STWildlife Portraits Calendar - Stapled; for the calendar with imprinted window, see item #111995-WDWildlife Portraits Calendar - Window.